One of the greatest things about the new Volkswagen lineup is the number of choices that you have, especially when it comes to SUV and crossover models. If you're in the market for a Volkswagen SUV, the Tiguan, Touareg, and Touareg Hybrid are all great choices for you to consider. Each brings something different to the table, whether it be cargo room, power, efficiency or features. Interested in learning more about the differences between each one? Follow the links on this page to see what each one has to offer. Each page offers specific, vital information for that specific model that will help you decide if you're viewing the right vehicle for your specific needs. If you have a budget for your next SUV purchase, you can find pricing info for each model and trim levels available. If you're looking for a specific feature, you can view availability and how much they'll cost. If you're wondering about specs such as fuel economy or interior cargo volume, you'll find that listed as well. You'll be so well informed that when the time does come to make a decision, you'll be able to make it with confidence. When you're ready to see your next Volkswagen SUV in person, be sure to visit our Orlando showroom in person. 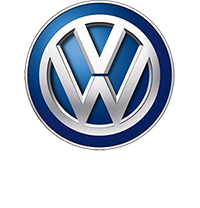 Whether you hail from Altamonte Springs, Oviedo, Winter Park, or Union Park, Napleton's Volkswagen of Orlando is a quick drive away, located at 12700 E Colonial Dr. Our staff is standing by and ready to answer any questions that you may have and get you behind the wheel for a test drive.